Parents know better than anyone else: taking children out to eat can be challenging for any number of reasons. Thankfully, Kansas City’s wide assortment of highly rated, kid-friendly restaurants keep young ones happy and adults satisfied with authentic Kansas City flavors. At Donutology, kids of all ages can pick from thousands of different flavor combinations to perfect their own mini donut creations. 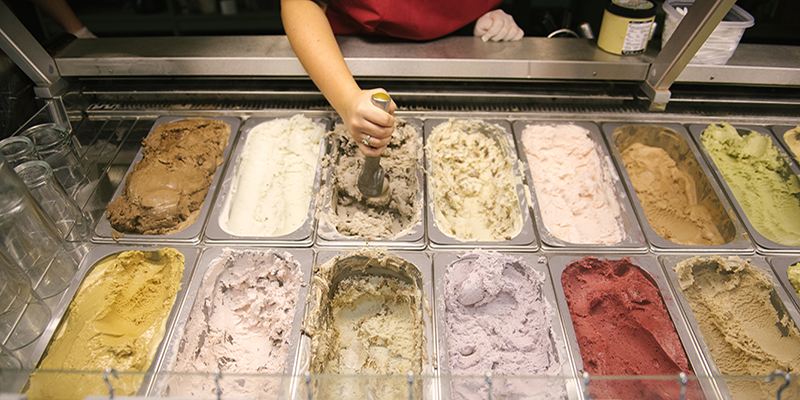 Popular options include strawberry icing, bacon bits and cookies & cream. 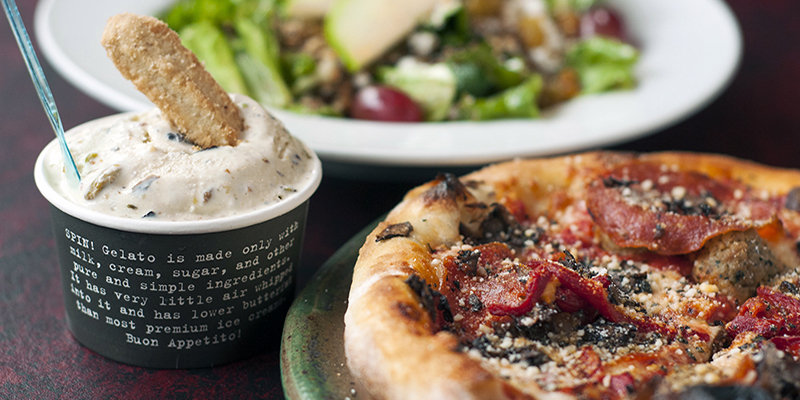 Child-sized cheese or pepperoni pies plus delicious gelato is perfect for kiddos visiting Spin! Neapolitan Pizza, a regional favorite available in Crown Center, Olathe and Overland Park, among others locations. 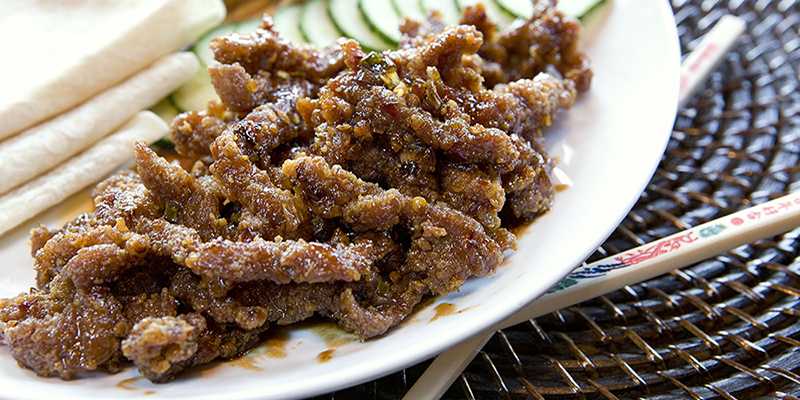 Travel to 39th Street West to sample Mongolian cuisine at Genghis Khan, where guests create one-of-a-kind masterpieces by choosing from 25 different vegetables, 12 meat options and 15 spices and noodles. The kid’s menu at Nick and Jake’s is split into two different categories: one for “little leaguers” and the other for “big leaguers.” Younger children can count on favorites such as peanut butter & jelly and chicken fingers while older kids will appreciate baby back ribs, steak and spaghetti, among other options. Let kids build their own biscuit at Heirloom Bakery & Hearth, a Brookside mainstay known for fresh pastries and delicious biscuit sandwiches. 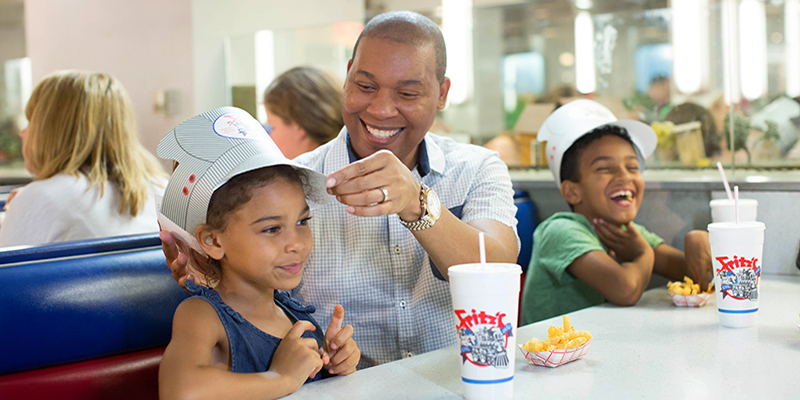 Have your meal delivered by toy train at Fritz’s Railroad Restaurant, a favorite for families dating back to 1954. Top it off with a milkshake or Oreo sundae to really make the meal special. Every chance you get to eat KC barbecue is a special one, and Fiorella’s Jack Stack Barbecue is no exception. 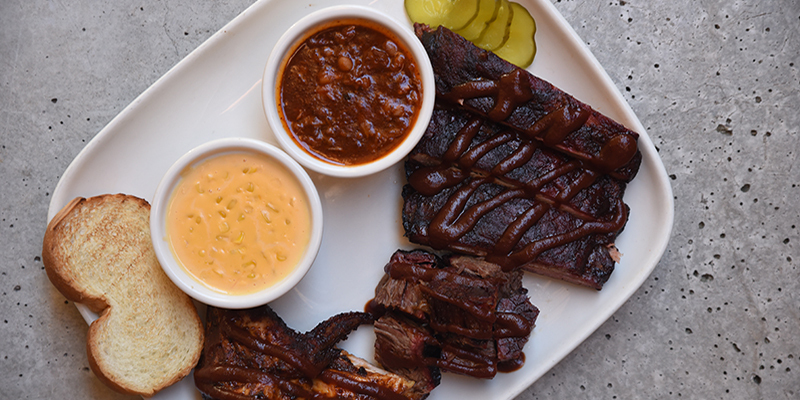 The savory ‘cue is available at five different locations, all of which cater to children thanks to kid’s meals that show off Jack Stack’s legendary flavors. 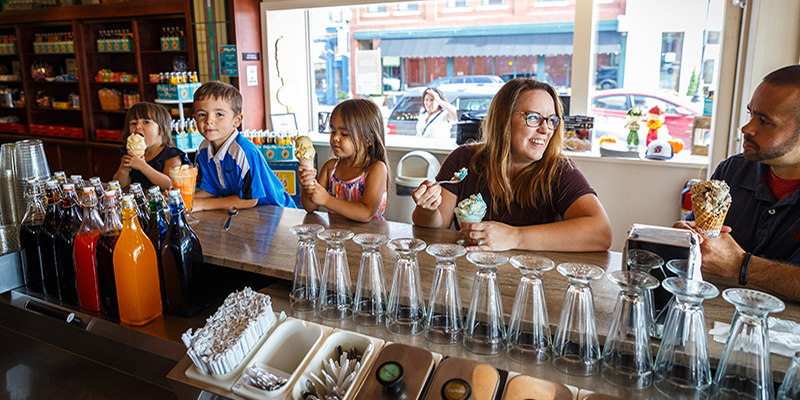 Travel east and you’ll find Independence, home to a number of historical sites, including Clinton’s Soda Fountain, an old-fashioned soda and malt shop where President Harry S. Truman worked as a young boy. Fresh-squeezed juice and eight-layer cake at breakfast hotspot Succotash is always a reason to celebrate. 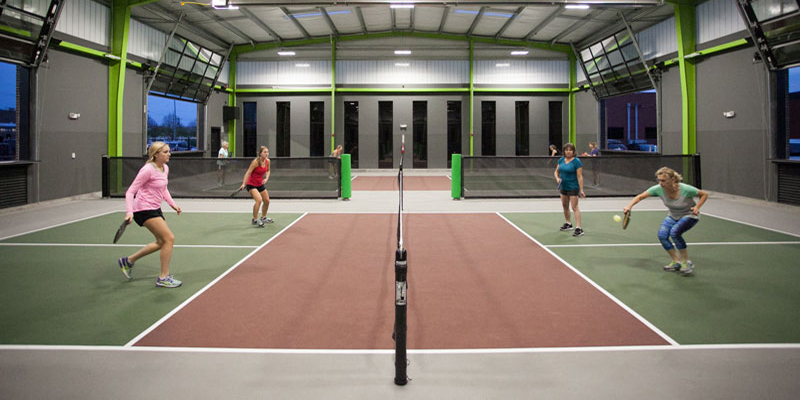 Dine and play at Chicken N Pickle, a North Kansas City eatery offering chef-driven meals and pickleball courts for all to enjoy. 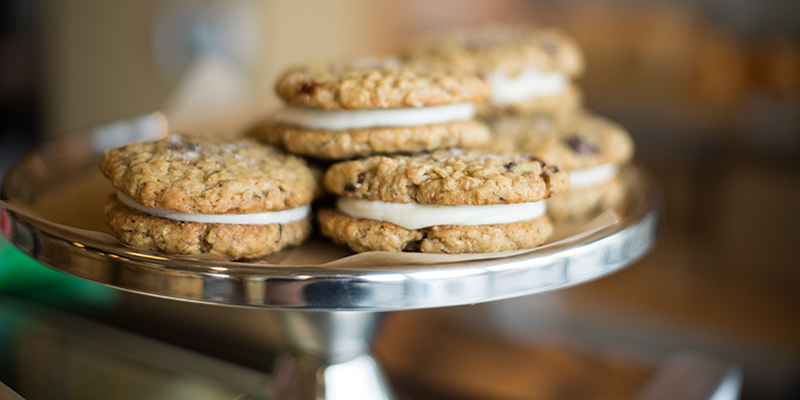 Sweet treats throughout the metro help you finish your day off with dessert. 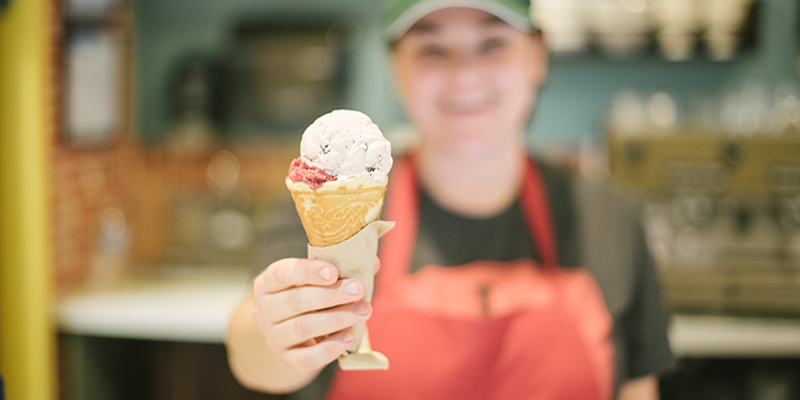 Ice cream purveyor Betty Rae’s is a beloved Waldo institution. Flavors rotate seasonally but unique combos such as chicken & waffles and burnt ends round out more traditional tastes like vanilla bean and chocolate brownie. Travel to the Country Club Plaza to sample near-endless varieties of treats at Cupcake A La Mode, including creative offerings like stuffed French toast and marshmallow fondue. 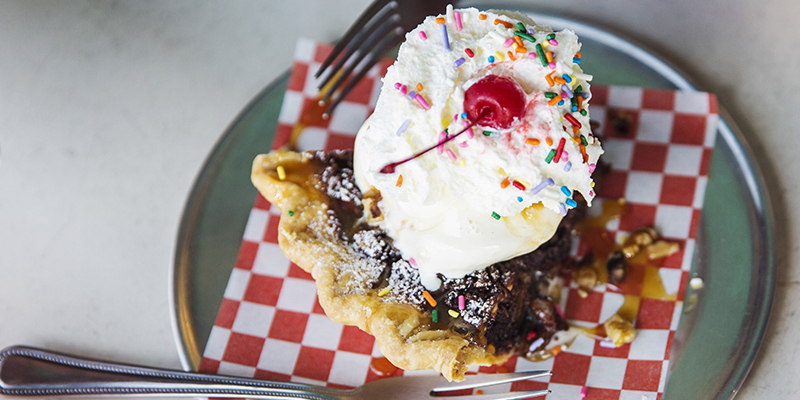 Or, hit up Overland Park’s Upper Crust Pie Bakery for slices of your favorite flavors. Children are invited to watch the candy-making process at Chip’s Chocolate Factory, known for its Kansas City Fudge and other delicious confections. 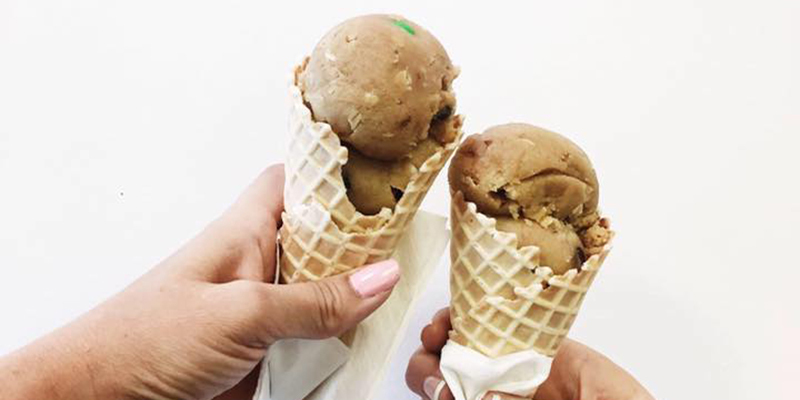 Kids and adults alike love KC Cookie Dough Madness, home to fresh-made, edible cookie dough in several different flavors. You’ll find many Kansas City kids activities ranging from creative and educational activities to leisure events to just down right craziness. All as unique as your family and your children.